It's Holiday time! 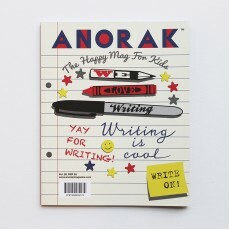 And to celebrate Anorak has made an extra special edition. It is two issues in one as it come with a GOOBER adventure activity book. 64 pages. Printed on offset recycled paper.